You could say that. Transformation is the new convergence, the new change. Was the HP decision to let go it's PSG division, one of the Triad, Wall Street driven or some emotional knee-jerk reaction to dismal TouchPad sales? The answer is 'Yes'. And HP is genius. Mother Blue see's a future without desktops. It's a crazy world, upside down, inside out - we'll make sense of this over the next 18 months - rationalize or remember. We'll read industry pundits explain how 'so and so' will take HP's $42billion company on, re-label and grow. IPG - Supplies, are big. Sustainable? Meanwhile, 10,000+ HP employees squirm, VARs scramble, 'loyal' HP Enterprise customers call emergency CIO driven IT meetings, evaluating their 5 year technology refresh plans. And this is just the beginning. This is the first in a sequence - tell me, if the largest PC company in the world can get out of PC's, how difficult is it to see the worlds largest printer company, get out of PRINTING? 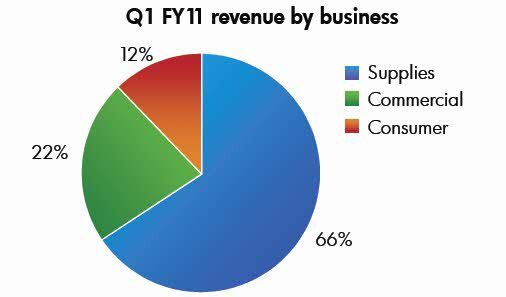 IPG is 21%(Q1/2011) of HP total revenue - ten years ago, IPG accounted for 43% of revenues. Guess how much PSG, the division HP is remembering to let go, contributed to total revenues...31%. Do you see what I see? The biggest question is, who can afford to swallow IPG? Xerox? Ricoh? Cannon? Lexi? Nobody. What about spinning IPG off, all on its lonesome, eh? PC's are dying, the focus, the singular focus, is not the machine, it's the stuff going through the machines - bits, data, thoughts, ideas, conversations, expressions, information - CONTENT. Look to the content, not the machine - maybe, just maybe, HP has this all white boarded out, because they look hellbent on shedding their hardware pedigree and heading to the cloud. Let's put this in context. Remember when every employee had a PC at their desk? For every new hire, IT had to set up credentials, order up a PC, secure network drops, and LOAD PRINT DRIVERS. Because every PC sold had a printer with it. Free Dells anyone? Perhaps, quite soon, it won't matter how well the OPS partners are fairing, if the HP MpS program supports the channel or MES. Maybe, someday soon, I won't be required to report how many third party toners I sold last year. 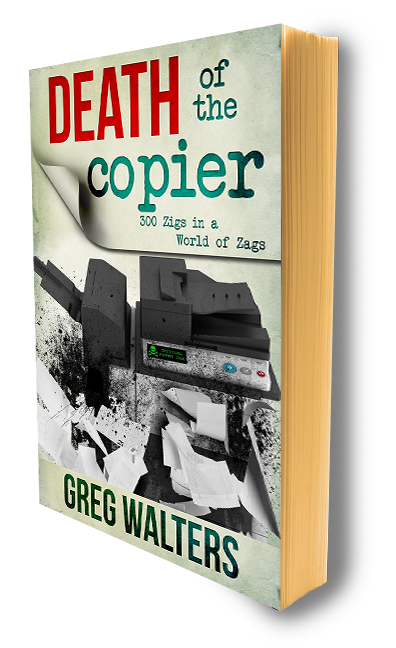 Because, as goes the PC, so goes the printer.